Casino drops another new mixtape "Boss Man 3." 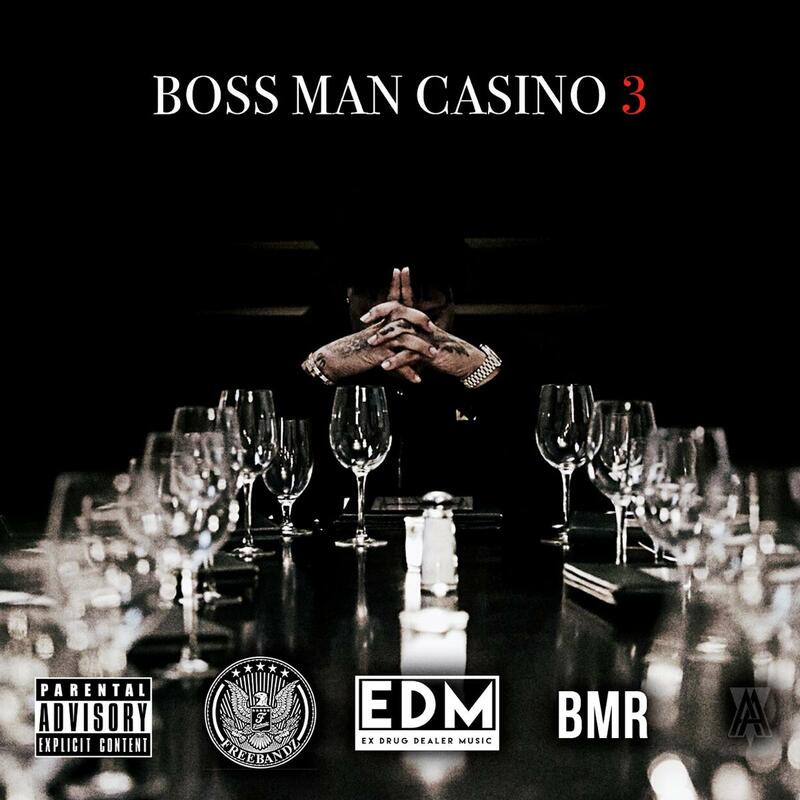 Freebandz rapper Casino just can't stop dropping mixtapes, with his latest release Boss Man 3 coming to us barely two months after Ex Drug Dealer 3. Boasting a bevy of producers including previous collaborator Cicero 808 Mafia, Boss Man 3 continues Casino's rampage through the hip-hop scene. Perhaps the strongest piece on the mixtape is "Wraith," a track produced by ATL Jacob and features some really strong Southern beats to go along with Casino's rapid delivery. "Cool" and "Gold" are two other standouts. With this kind of pace, who knows if Casino has another bit of music in him, but I know I'd certainly like to hear more of his flow. Listen to Boss Man 3 right here.